BUSINESS LAW TODAY: COMPREHENSIVE immerses students in the excitement of cutting-edge business law with a wide selection of intriguing new cases and thorough coverage of the latest developments in the field. 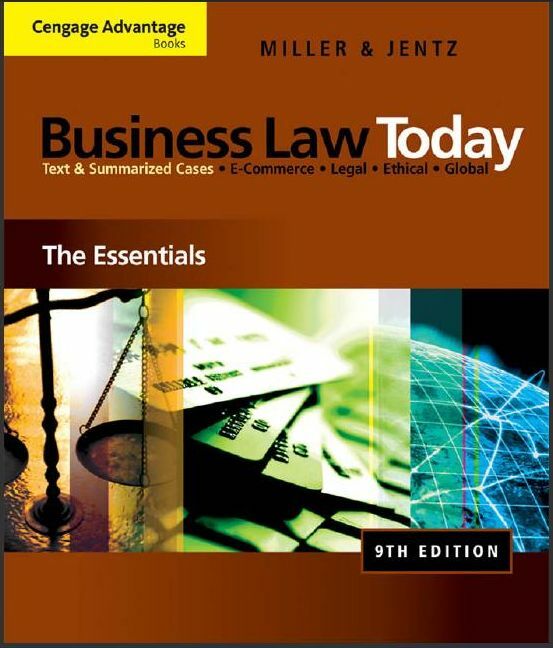 The Ninth Edition of this successful textbook makes the study of business law appealing and relevant for today’s students—without sacrificing the legal credibility and comprehensive coverage that have made the text a trusted favorite among instructors. Each chapter's visually engaging, time-tested learning tools illustrate how law is applied to real-world business problems—and how landmark cases, statutes, and other laws are having a significant impact on the way businesses operate both within the United States and across the globe.